When I heard about Turning Tables for the first time, I didn’t have anything that kept me occupied. My day consisted of eating, singing, strolling around and sleeping. A situation that I wanted to change more than anything. It didn’t feel good to just be sitting around and not contributing anything. Not good at all! I wanted to do something useful und make my time in Germany count. Gastronomy is a field that I had never worked in before and hence didn’t have any experience in. To be quite honest, I didn’t even particularly like cooking. Actually, my plan had been to find a job as an electrician here in Germany too. Unfortunately, that didn’t work out. But then a social worker from my accommodation told me about Turning Tables and their introductory courses. Participating was free of charge and I had more than enough time to spend. Everything was better than sitting in my over-crowded asylum accommodation, worrying about my family in Afghanistan or my uncertain future in my new homeland. I thought, it couldn’t hurt to at least find out, what gastronomy in Germany actually meant. What kind of jobs and career possibilities they have. How everything works and how the work actually looks like. With so many positions waiting to be filled with skilled staff and so many organisations looking for new trainees, it definitely couldn’t hurt to just try out, even if this was just for fun. So, I attended a three-day weekend course, where I got answers to all of my questions and cooked delicious meals with interesting participants. Like Adil, with whom together I started the Step-IN program later. Whether it may be precision and diligence, or the polite and reliable contact with customers – many skills that I acquired as an electrician or pharmacist were needed for gastronomy too. Therefore, it was of little surprise that I quickly started to like the work. Eventually, I was so inspired by the course, that I was eager to continue and learn more. Adil experienced the same, and so we decided to sign up for the tep-IN program, which would prepare us for an apprenticeship in gastronomy. I’ve always been a social person, who likes to approach, meet and mingle with other people. Unfortunately, in Germany it hasn’t always been easy for me to do. As a refugee, you’re naturally surrounded by a big group of other refugees. If you don’t speak German that well, it can be rather hard to break out of this circle and get in touch with locals. Consequently, language barriers can impede the integration into German society. Especially the integration into the German labour market. If you don’t want to end up as a dishwasher or an illicit worker, you will often be required to know industry-sector-specific German. Especially in gastronomy it is important to possess good German skills. You must know what you are serving your guests, what the ingredients of particular meals and drinks are named and what you are expected to do, when you get told to polish the butter knives. To know the right words and names is not always a matter of course. Whether it may be about fruits and vegetables, or cutlery and tableware, there are many things that are absolutely mundane in German gastronomy, but absolutely alien to me. There are so many things, that I have never seen before – they just don’t even exist in Afghanistan. Consequently, there also are many things that I don’t know the name of. It therefore has been of great value to me that we got provided with gastro-specific German classes during Step-IN. The preparation we received during the Step-IN program, didn’t only cover theoretical knowledge but also practical skills. Folding napkins is what I had the most fun with. It feels like a hint of magic to transform a simple, plain, white piece of fabric into a bountiful rose, a ship or other artful ornaments. This skill proved to be useful already right at the beginning of my apprenticeship. On the very first day, to be precise. I was working at the bar and got asked to fold around 200 napkins. No problem – thanks to my time at Turning Tables. For me, Step-IN was the first time, that I got out of my accommodation regularly again, and learned something that upskilled me. 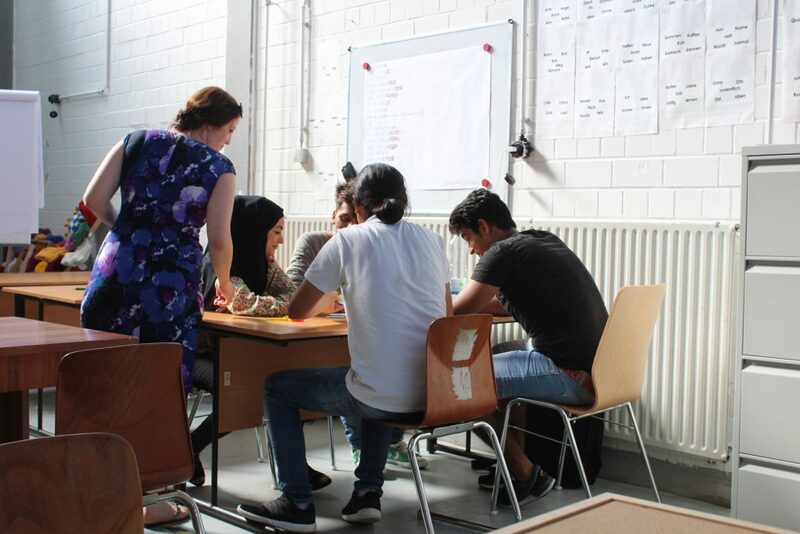 Of course, I also visited German courses and was happy to make progress there too. But how much value do the best German skills in the world have, if you don’t have any experience in the particular industry sectors, where they are looking for employees, and if the experience you have for other sectors, doesn’t get acknowledged here? It felt good to finally be actively working on my professional future again. To participate in the Step-IN program created a feeling inside of me, that my escape hasn’t been in vain. A feeling that silenced this other, hurtful feeling that had rumbled inside of me for quite some time. The feeling of uselessness. On top of that, I have learned many things that reached way further than gastronomy and will help me in many situations of my future life. It was the first time that I socialized with Germans, other than the social workers that I was in touch with. I learned a lot about German culture. I now know, what is being valued in Germany and how I can translate this into every-day behaviour. Before the course, I hadn’t implemented all of that. Not, because I wanted to provoke or disrespect, but simply because I didn’t know better. Values, norms and rules vary from culture to culture, and so there are big differences between Germany and many African or Asian countries. Instead of only surrounding myself with the Afghans from my accommodation, I opened up and experienced myself, how much more beautiful it is to live in a colourfully mixed society. 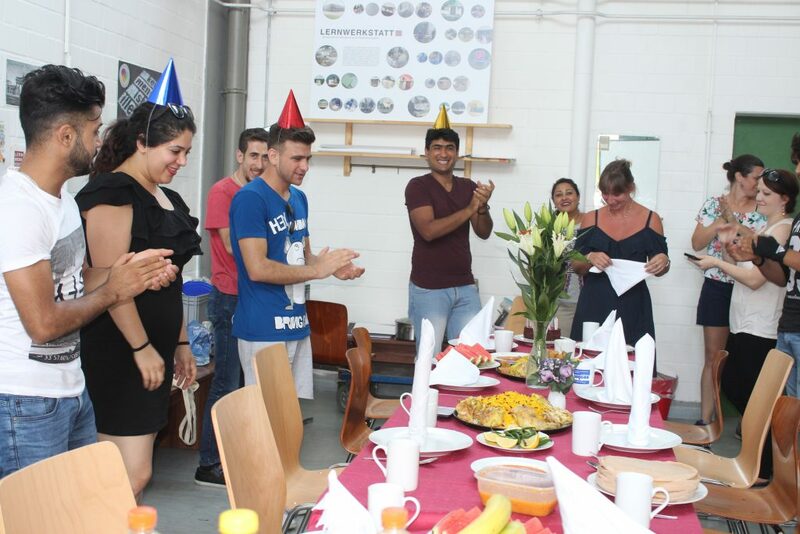 The same I can do now at my apprenticeship at Feinkost Käfer, where I meet many people from different countries, in one way or another. 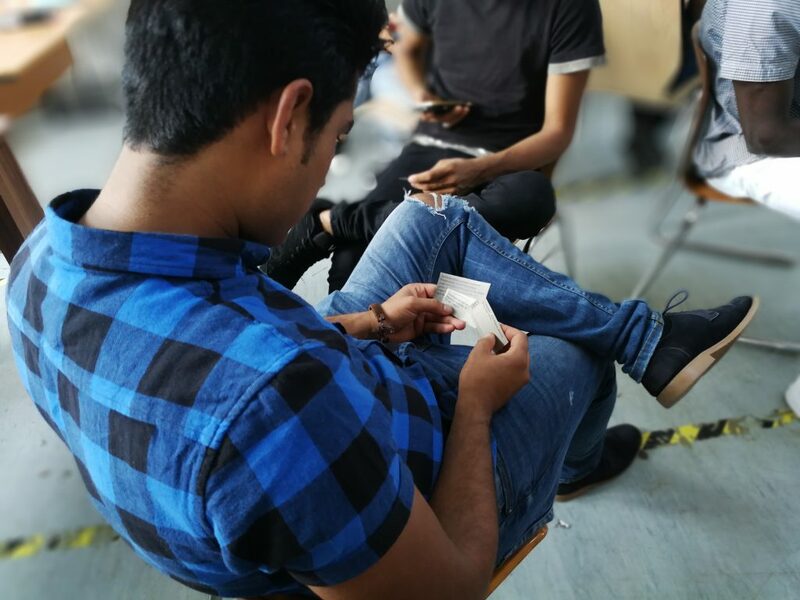 An extended thank you to our sponsors, UNO-Flüchtlingshilfe, PIMCO foundation and Referat für Arbeit der Landeshauptstadt München: Münchner Beschäftigungs- und Qualifizierungsprogramm (MBQ), who made the Step-IN program possible.